Touchpoint Research - a modern and fast method improving customer experience! Touchpoint provides all methods you need to collect feedback from your customers and employees. We offer tablet-surveys for all environments. Digital surveys via e-mail or text messages and smart solutions for your website. We will assist you through the entire process of selecting the right survey method, creating surveys and understanding the result. We’ll also take care of everything regarding hardware. 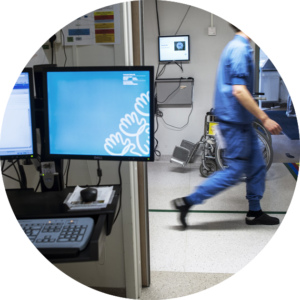 We have extensive experience in feedback collection at hospitals and health centers. 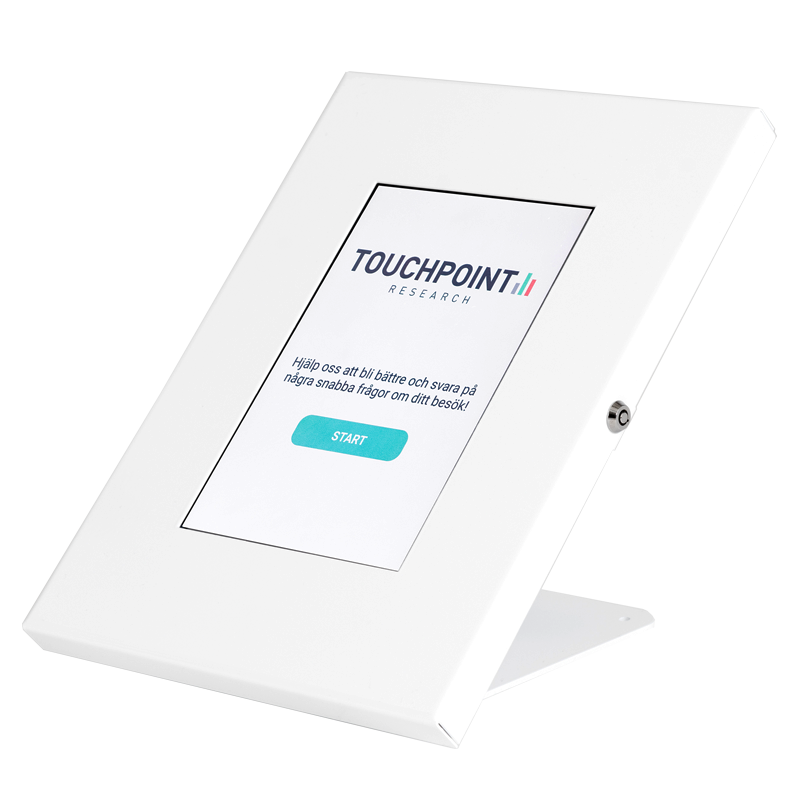 With Touchpoints survey units placed at exits and receptions we track the customer experience every day. Read more about how Capio use Touchpoint to collect feedback from their customers. 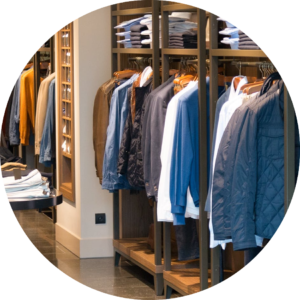 Touchpoint survey units is a powerful tool for retail businesses who want to maintain a high quality in store service. It is an effective tool for tracking customers experience. It’s also great for benchmark and comparison between stores. 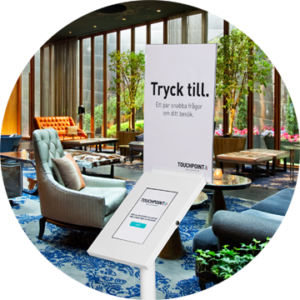 With Touchpoint survey units hotels and restaurants can easily track their performance every day. It is simple for visitors to give their feedback using touch screens. The daily feedback present the possibility to quickly adress issues that occur. Read more about how Bergendal Meetings successfully utilise their Touchpoint survey units. 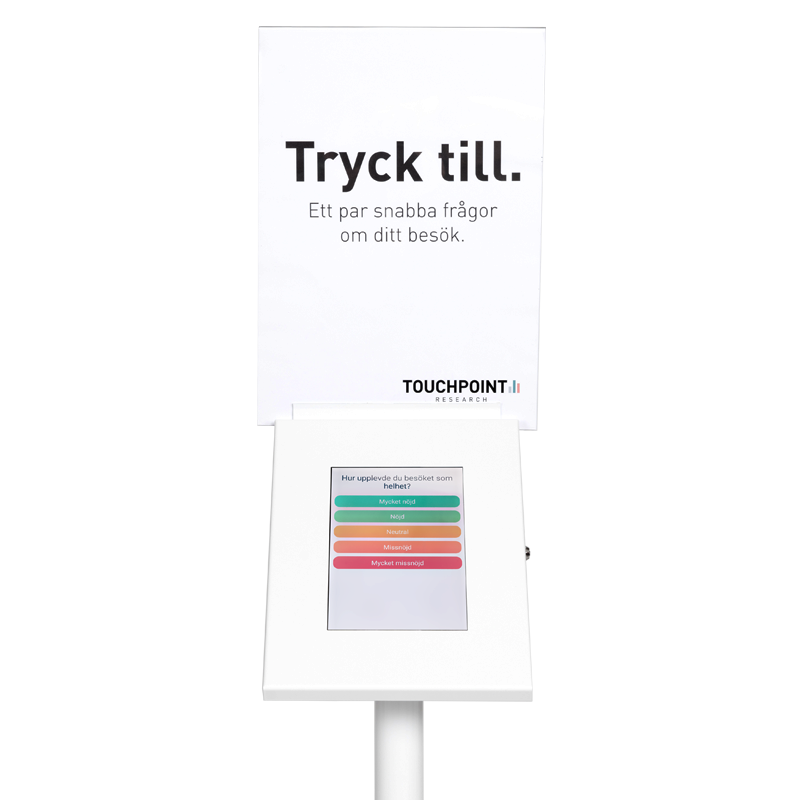 Touchpoint offer several effective methods for collecting feedback on buses, trains and at service points. 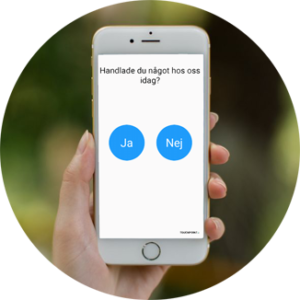 With floor stands or wall mounted touch screens the customer survey is performed right when the customer is using the service provided. 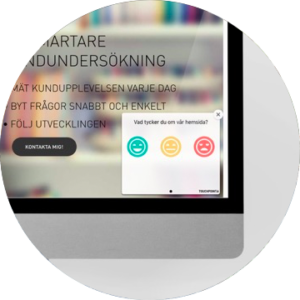 Collect feedback from the employees with a combination of touch screens and e-mail surveys. 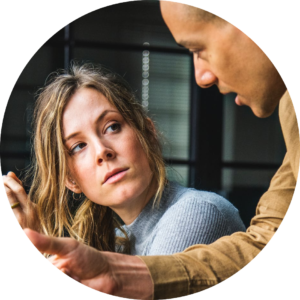 When collecting the employee feedback every day you are able to discover problems quickly and have the possibility to stop a negative trend. 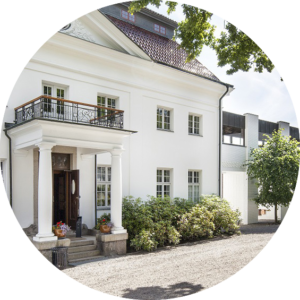 Read more about how KappAhl benefit from their survey units. With Touchpoints powerful web portal you will only need one tool to administer and track all your surveys. You can easily build your own surveys or use our ready-to-use templates. In our web-portal all feedback is aggregated into easy to understand graphs in real time. Follow development and trends. You can also subscribe to e-mail reports. We deliver sturdy floor stands, desktop stands or wall/bus mounted holders for our tablets. 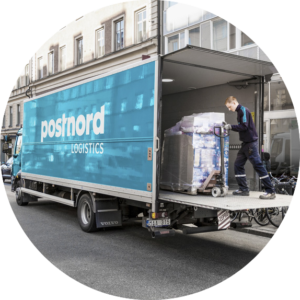 All our hardware is produced in Sweden, made in steel and fully mounted at delivery. You only need to switch on the tablet to get started. In our web-portal you send surveys to employees or customers by e-mail or text message. You administer your surveys in the cloud and all data is presented in graphs in realtime. Everything in one place regardless which method you prefer. With our smart web survey you can easily track what customers think about your home page. It is easy to get started and you follow the outcome in our web portal. We deliver touch screens for all types of environments. Our floor stands can be placed where your customers pass by. Desktop stands are ideal for receptions. We have mounts for walls, buses and trains. All mounts are produced in powder coated steel.